You better get yourself familiar with Plitvice Lakes accommodation offer if you plan to visit Plitvice Lakes for more than a day. We’ve decided to write down a complete guide on Plitvice Lakes accommodation in order to make that quest easier on you. Plitvice lakes draws millions of visitors every year, but not all spend an overnight in Plitvice. In fact, I’ll be honest with you, not so long ago, it wasn’t even something we would recommend. Not because a visit to the park doesn’t merit two days of exploring (it does! ), but because Plitvice lakes accommodation was limited, and not really trendy. Besides, the restaurant offer was even less enticing. And the area is pretty dull at night. Back in 2009, we went for a weekend to Plitvice. First we visited the park. Nevertheless, once we checked in our Plitvice Lakes accommodation, and considered our eating options for the evening, we have decided to check out and return home immediately. The problem was, at least from our perspective, that everything there was made with large groups in mind, and not for individual guests, like a single family, or a couple. Few restaurants were open, but they all were oversized, canteen-style, and there weren’t other people but us. Also, the offer (lots of grilled meat) wasn’t exciting. In their defence, it was late March, and not too many visitors around (maybe in summer when full the impression is different). Anyways, a lot changed since then, and today you will find much better accommodation in Plitvice Lakes, as well as better overall experience. Hope our Plitvice Lakes accommodation guide will help you better plan your stay in Plitvice Lakes. You basically have two choices regarding location of your accommodation in Plitvice Lakes: either you stay within the park, or you stay outside the park in nearby villages. There are very few accommodation choices within walking distance from the Plitvice Lakes entrance 1 and 2. In fact, if you want to stay within the park, then your only Plitvice Lakes accommodation choice consists of old fashioned hotels that are owned and managed by park’s own management (read: state owned, run down and overpriced). These include hotel Jezero, hotel Bellevue, and hotel Plitvice, all three within the park, next to the Entrance 2. All other accommodation are around Plitvice Lakes, in the surrounding villages. However, even with this in mind, staying within the park has its advantages though. You get an easy access to the park. If you don’t have a car, and you travel by buses, staying within the park is convenient. Although many out of the park accommodation offer free car ride to the park. You might want to check this with the particular property before booking. The one-day ticket will afford you two days visit to the park as long as you stay in one of hotels within the park. Ticket must be validated at the hotel. There is another choice for staying within the park (but not really within the park as we’ll explain). Plitvica Selo is a small village on the opposite side of the entrance 1, across the lower lakes, but not far from the lake Kozjak. At this side of the lake Kozjak, there is a small, auxiliary entrance to the park – entrance Flora. The walk from the village of Plitvica Selo to the entrance 3 takes about 15 to 20 minutes. Here you will also find a snack bar, Kozjacka Draga, and the P3 boat stop. You can’t actually buy a ticket at this entrance (only at the entrance 1 and 2), but you can arrange with the staff at your Plitvice lakes accommodation to purchase and deliver the tickets to the reception. This usually needs to be arranged in advance. This way you will definitely avoid crowds on entrance to the park. Some of the accommodations you can find here are: Ethno House Plitvica Selo, Pansion Breza, and Etno Garden Apartments & Rooms. The biggest pros of staying outside of the park are variety of accommodation you get, and definitely better value for money. If you travel by car, you should avoid park hotels and look instead for an unique accommodation in the vicinity. Parking in Plitvice national park costs only 7 kn per hour, and few kilometres ride is no excuse to set for less than the best accommodation. There are many villages along the road to Plitvice Lakes either from direction Zagreb or Zadar. The closest are Plitvica Selo and Jezerce. Grabovac and Korana are other popular places for an overnight stay in Plitvice Lakes. Where to stay in Plitvice Lakes | Plitvice Lakes Accommodation | Pin me for later! Plitvice Lakes National Park is big site with plenty to see, and if you want to visit properly, one day won’t suffice. In our opinion, 2-day stay is the optimal time to visit the park. You can also consider staying longer if you would like to experience other activities and sites in the area beside the park. Also, when you stay an overnight in the area, you get an opportunity to visit the park early in the morning, and to beat the crowds. Park is overcrowded in July and August with majority of day tours arriving from 10 am on. If you stay within the park, or within a short distance, you can arrive as early as 8 am when the park opens and have less people around. Please note that the ticket booth opens already at 7 am. If you like outdoors, you can consider staying in the area longer than 2-days (one night). Below you’ll find day tours we recommend you take from the Plitvice Lakes. Located 35 km from the Plitvice Lakes National Park, Rastoke is a small village with lovely mills built over winding river, and a series of waterfalls. Swimming in the Korana River in the village Korana officially isn’t allowed. But, (un)fortunately everybody’s doing it, locals and tourists alike. In fact, locals have always been swimming here. Alternative, and 100% legal swimming spots include Slunj, Karlovac and Ogulin. An hour drive from Plitvice, Nikola Tesla Memorial Center features his birth home, lovely garden, an Orthodox Church, and a exhibit showing many details from Tesla’s early life, but also facts about himself and his inventions. If you are Tesla buff and have a two hours to spare, visit this lovely Tesla Memorial Center. It also has a charging station for an electrical car. Located in a small village of Vrhovine, 45 km from Plutvice Lakes, the zip line center Pazi Medo (Beware of the bear), features the longest single zip line in Europe. The speed exceeds 100 km/h. Una National Park is located in neighboring Bosnia, about 80 km away from the Plitvice Lakes. It is a beautiful park with lots of waterfalls, raw, untouched nature, meadows, hills, walking trails, and picnic areas. Two most popular sites within the Park are waterfalls near Martin Brod, and Strbacki buk (the most beautiful waterfall in the park). White water rafting is super popular on the Una river. The absolutely best place for booking accommodation in the national park Plitvice is Booking.com. I can’t stress this enough. Booking counts perhaps for 70% of all online bookings for Croatia. Their Plitvice Lakes accommodation offer is broad, featuring every type of accommodation: hotels, B&Bs, hostels, vacation rentals, guest houses, etc. Another advantage of Booking.com is that many properties ask only for a credit card as a guarantee in case of no show, but they won’t charge it in advance. You pay actually onsite. Another good site to book Plitvice Lakes accommodation is Airbnb. Airbnb doesn’t charge hosts such a high commission. Thus, sometimes hosts offer better rates on Airbnb. Anyways, it’s worth checking out. On airbnb you will need to pay before you travel. Use this link to sign up for Airbnb and you will receive €24 off of your first trip. Both sites offer filters to make your search easier. As we’ve already explained above, there are 3 hotels inside Plitvice national park. These are hotel Jezero, hotel Bellevue, and Plitvice hotel. All other accommodation is outside the park. Plitvice Lakes are beautiful all year. In winter they look like a wonderland, in spring when the snow melts the waterfalls are at its best, summer brings all the shades of green, while in fall leafs brings an explosion of colours, as they begin to change from green to various shades of reds golds and yellows. However, if you can avoid visiting the lakes in August, it might be a good idea, as August crowds are (almost) unsupportable. If you have no choice but to visit in August then just remember to plan your visit to the lakes as early as possible (at 8 am when they open, before all tour groups arrive). The rates for Plitvice Lakes accommodation depend on type of accommodation (hotel vs campsite), season (stays in August are more expensive than stays in May), services (is breakfast included or not), distance to the lakes (the closest the more expensive), number of persons (triple room is more expensive than double room), level of luxury and style of the accommodation, and a booking window (how many days in advance the booking is made). To secure the best rates, we encourage you to book Plitvice Lakes accommodation as early as possible. Hotels rates are shown per room per night. We find that Plitvice lakes hotels have “room only” as a basic rate. Breakfast usually costs around 8 € per day per person. For a double room with breakfast expect to pay around 80 € in off-season (Nov. through March), 110 € in shoulder season (Apr.-June, Sept., Oct.), and around 150 € in high season (June through August). You can find a self-catering apartment for 2 in July for as cheap as 70 € per night, and for as expensive as 190 €. So here more than with any other accommodation option you really need to shop around. However, majority of apartments for 2 in high season goes for around 100 – 130 € a day, for around 80 – 90 € a day in shoulder season, and for around 60 – 70 € a day in off-season. Rooms in local inns, and guesthouses go for as little as 40 € a day in off-season, and as high as 80 – 100 € a day in high season. A night in the campsite will set you back around 25 € a day in off-season for two persons and a pitch with water and electricity, and around 35 € a day in high season. Main hotels in national park Plitvice Lakes are owned and managed by the Park management. These Plitvice national park hotels include hotel Plitvice, hotel Bellevue Plitvice, and Jezero hotel, all three hotels inside Plitvice national park next to the entrance 2; but also hotel Grabovac in nearby Grabovac, 9 km away from the entrance 1 (free shuttle bus included in the price of room). However, as we’ve already mentioned these hotels are a bit impersonal, old fashioned, and just notch pricey for what they offer (being within the park limits come with a price tag). Other hotels in Plitvice Lakes national park are small family-run properties with 20 rooms or less. While they are all outside of park limits, they are also not that far away to visit the park, all within 10 km from either entrance 1 or 2. Since car parking in the park is only 7 kn, it’s worth considering staying in some of these hotels. Below you’ll find our Plitvice Lakes hotels that we recommend. This small family-run hotel near Plitvice Lakes national park (only 4 km from the entrance 1), features 20 rooms in main and annex building. Comfy, clean and sleek rooms, two good value onsite restaurants, reasonable choice of food at breakfast, heated outdoor swimming pool and super friendly and helpful staff make hotel Degenija one of the most popular hotels in Plitvice Lakes. You can also rent a bicycle in the hotel if you don’t feel like driving to the Plitvice Lakes. Click here for the latest prices and availability! Brand new hotel opened in 2018, Plitvice Inn is sparkling clean, and modern. It’s family-run place with yummy breakfast featuring many homemade and homegrown items. If you are looking for hotels near Plitvice Lakes national park, you'll like to know that Plitvice Inn is conveniently located only 7 km for the Lakes. Bright, spacious and comfy rooms with modern furnishings and lovely bathrooms make 16 Lakes hotel worth seeking out for your accommodation at Plitvice Lakes in Croatia, although it is a 10-minute drive to the park. Hotel features 16 rooms, onsite restaurant, parking, free WiFi, and an outdoor swimming pool. This lovely traditional house near the river offers accommodation in 6 double rooms, all with en-suite bathrooms. Rooms are new, clean, comfy, and modernly furnished. Breakfast is plentiful, while dinner can be arranged with the owners at extra cost. However, it's home cooking at its purest, and definitely worth the money and convenience of not needing to go out for a meal after a day of exploring the lakes. The Rustic Inn is 7 km away from the Entrance 2. If you like to stay at the apartments with fully-equipped kitchen and ample space, you can find a good choice of apartments to rent in Plitvice lakes. All Plitvice Lakes apartments are in villages in the vicinity of the park, none within the park limits. Many guest houses offer apartments and rooms to rent under the same roof. However, we tried to find few properties that offer exclusively apartments and studios to rent. But one of the best accommodation in Plitvice Lakes are small wooden cottages, fully-furnished and available for a short-term rentals. Below you will find some of those gems that we recommend for your stay in Plitvice Lakes. This beautiful wooden chalet features 5 studio apartments. Each studio apartment is 45 m2 and each can accommodate 4 people. Studios are simple but tastefully decorated and each features its own terrace, en-suite bathroom, and open space living-dining-sleeping area with a kitchenette. Onsite restaurant serves buffet breakfast, and served dinner. Food is homemade and yummy. Owners are very friendly, and have great tips for visiting the lakes. Villa Natura offers accommodation in two separate chalets. Built entirely in wood, stone, and brick chalets are very pretty, and they feel cozy. Each chalet has 100 m2 spread across two floors. The ground floor consists of an open plan kitchen, living and dining room, and a separate bathroom, while the first floor features a large bedroom, en-suite bathroom, and a balcony. Holiday homes Eko Klanac are small wooden cottages. Each cottage consists of a fully-equipped kitchen, dining and living area, bathroom, and one double bedroom at the ground floor. Another bedroom is in the mezzanine. It is a magical place, remote, surrounded by greenery, quiet and relaxing (comes with a weak WiFi though). Ranch Jelov Klanac consist of two beautiful wooden cabins. Each cabin offers three apartments to rent: two at the ground floor, and one at the first floor. Houses are set in a lovely countryside with stunning views. Owners live nearby, and are available should you need anything. Outdoor BBQ facilities are great bonus feature! In the proximity of Plitvice Lakes you can find number of campsites. Three of them, Borje, Korana, and Plitvice Lakes Resort, are big campsites offering various accommodation options, as well as additional facilities like restaurants, shops, or swimming pool. Camping Borje (see video here) and Korana are owned and managed by the National Park management, while Plitvice Lakes Resort (ex. Turist) is privately owned and managed campsites with a variety of accommodation options (lovely tree and lake houses, mobile homes, and tipi tents). Other campsites in the vicinity of Plitvice Lakes include small family-run campsites with 20 to 30 pitches for tents, motorhome, or caravans and basic sanitary facilities. Some of these campsites are Korita, Cvetkovic Camping, and camping Bear. Plitvice Holiday Resort (ex. Turist) is located in a village of Grabovac, 10 km away from Plitvice Lakes' entrance 1. The campsite offers variety of accommodation including camping pitches, mobile homes, Indian village with tipi tents, and super attractive tree and lake houses, but also a bit old fashioned rooms and apartments. Other facilities include shared sanitary facilities for guests with motorhomes, tents or caravans, outdoor swimming pool, onsite restaurant, children's playground, mini golf, sand volleyball pitch, and a table tennis. Camping Korana is the closest camping to the Plitvice Lakes, and one of the oldest campsites in the area. The campsite has forested areas, as well as open areas in the sun. The sanitary facilities are decent, and very clean. Besides camping pitches, the campsites also offer accommodation in 47 bungalows with rooms. The campsite can accommodate 2500 people in a single day. However, most of the time there is ample space, and you don't feel cramped when camping here. There are shuttle buses connecting the campsite with the Plitvice Lakes. They leave in the morning and come back in the afternoon. Perhaps the most common accommodation choice in Plitvice lakes, guesthouses are family-owned homes that offer accommodation in rooms with en-suite bathrooms, a homemade breakfast, but also a home-cooked dinner on request. The owners don't run a restaurant in a classic sense, the one that is open to public, instead they exclusively offer dinner (or lunch) to visitors staying at the property. In that way, food is made on order (with limited choice), and it is cooked not by professionals but by a skilled family member. Most of the time, you will have more memorable meals in guest houses than restaurants. Guest houses are great alternative to hotels as they offer more personalised service, and generally warmer atmosphere, almost like staying at family or friends' place. This lovely family-run guest house offers double and quadruple rooms in Jezerce. Jezerce is only 2 km away from the Plitvice Lakes entrance 2. Owners are lovely, take great care of their property and keep a nice interaction with guests. The breakfast is copious, and home made dinners are yummy and good value for money. This villa is 20-minute drive from the park, but the stay there is definitely worth a few kilometres drive. The villa offers accommodation in spacious and clean double and triple rooms. Other facilities include garden with an outdoor swimming pool, and a hot tub. Hosts are friendly, helpful, and welcoming. Both, breakfast and dinner served at the property, are excellent. Beautifully appointed spacious rooms and apartments Zrinka are located in Grabovac, 10 km north of Plitvice Lakes entrance 1. This family-run guest house is one of the best rated Plitvice Lakes accommodation. Quiet location, spacious and modern accommodation, delicious homemade breakfast, and above all friendly owners who go above and beyond to make you feel welcome and at home are all reasons why visitors stay at the House Zrinka when visiting Plitvice lakes. And, yes, this is one of few places where you are free to take food out from the breakfast and make yourself a lunch box for the visit to the lakes. This nice looking chalet offers accommodation in double, triple and interconnecting rooms. Friendly owners, superb breakfast, reasonable prices, and relaxing location make up for a memorable stay at this guesthouse. The guesthouse is in a village of Jezerce, less than 5 km south of the Entrance 2. Plitvice Lakes national park doesn’t only cover the area of the lakes and waterfalls, but instead it spreads onto the area of almost 300 km2. And while cycling isn’t allowed within lakes part of the park, other parts of the park contain many cycling routes including those suitable for beginners, but also experienced cyclists. You can do a self-guided cycling tour with a help of bike maps that you can find here, and here. Korana, Mreznica and Una Rivera are all popular sites for white water rafting close to Plitvice Lakes. From fast track through Rastoke and Little Plitvice, to waterfalls of river Slunjcica, or 10 km long ride through waterfalls, rapids, and pools, river Korana offers the most exciting rafting experience of all three sites. You can inquire more here. Crystal clear and clean waters in all shades of green, a string of freshwater springs, rapids, 8 m high Mreznica Watrefall, untouched forests without a house in sight, make Mreznica River one of the most popular rafting sites for locals and tourists alike. Get more info here. Una in the neighbouring Bosnia is another popular site among rafting aficionados. Una is wild, and untouched, with less tourists around than in Plitvice. It's specially popular among younger crowds. Ask here. What a better place to experience horseback riding than Plitvice Lakes. The track takes you through various landscapes: up and down hills, through meadows and forests, walking or galloping depending on your level of experience. And if you can, plan it for the golden hour, just before the sun sets. Ranch Terra and Equestrian Centre Rastoke are both popular horseback riding centres. Fresh water fishing is permitted in all three rivers close to Plitvice lakes: Korana, Mreznica and Slunjcica. In order to fish legally in Croatia, you need to obtain a fishing licence. These can be provided either through tourist agencies with whom you book a fishing tour, or through authorised local fishing association. Basic daily licence is 60 Kn. Waters here are rich in rainbow trout, grayling, pike, catfish, barbell, and many other white fish species. Get more information here. Plitvice Lakes are located in central Croatia, and not in an immediate proximity of any airport. 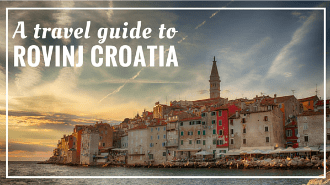 However, the lakes are easily reachable either from Zadar or Zagreb, and even Split, whether by car, by intercity bus, or by a coach as a part of a group tour. Plitvice Lakes are just below 2 h drive by car from Zagreb or Zadar, and 3 h drive from Split. By bus, the journey takes approximately 30 minutes longer. You are able to take a journey back and forth to Plitvice Lakes from all three towns. Anyways, it might be a good idea to stay at least one night in the vicinity of the Plitivce Lakes. Intercity buses leave from the central bus station. Getbybus is the best website to search for a connecting bus, and to buy a bus ticket online. Expect to pay approx. 12 € for one-way bus ticket from Zagreb, 13 € from Zadar, and 20 € from Split. If you travel by car from Zagreb take a highway A1 until Karlovac and then a state road D1 until Plitvice. If you travel from Split or Zadar, then take a highway A1 direction Zagreb, Rijeka. Get off the highway at the exit 13, Gornja Ploca. From there, continue on the state road D1 for 30 km, or until you reach Entrance 2 of Plitvice Lakes. Another practical way to reach Plitvice Lakes is by booking a private or group transfer to Plitvice Lakes from Zagreb, Split, or Zadar. Transfers are convenient and fast way to reach Plitvice Lakes. You can simply kick back, enjoy the scenery, and not worry about driving, following the road signs, or looking into the maps. Expect to pay around 150 € for one-way transfer to Plitvice Lakes from Zagreb or Zadar infor a 3-passenger vehicle, or 250 € for one-way transfer to Plitvice Lakes from Split. You can get a quote from Connecto Transfers, or check prices and book a transfer online using Rideways website. Many people actually take a transfer from Split or Zadar to Zagreb with a scheduled stop at the Plitvice Lakes along the way. Expect to pay around 150 € per person for Split to Zagreb group transfer with a stop in Plitvice, and about 120 € if a transfer is from Zadar. Explore Plitvice National Park as a part of a small group tour from Split. Spend a day away from Zagreb hustle and bustle and discover Plitvice Lakes. 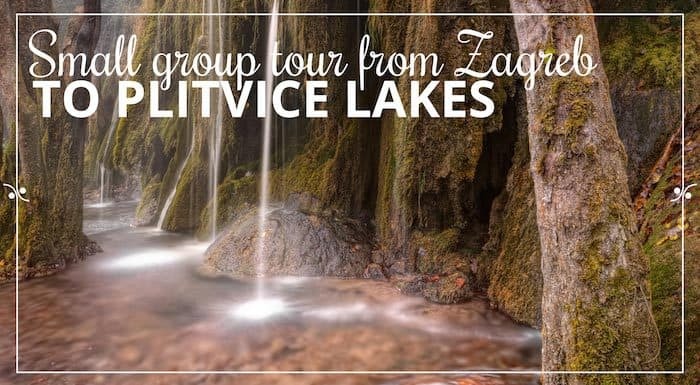 Explore forests, lakes, and waterfalls on this full-day Plitvice tour from Zadar. Our no. 1 website for car rental in Croatia is Rentalcars.com. If you are interested in renting a car in Croatia for a visit to Plitvice Lakes, we have written a whole post about car rental in Croatia. Plitvice lakes entrance fee depends on a season (winter, spring/fall, summer), visitor age (adult, senior, children, student), type of traveller (group, or individual visitor), and duration of the visit (visits after 4 pm in summer get a cheaper ticket). Children up to 7 years of age visit the lakes for free. One-day adult ticket costs 55 kn for visits from November to March; 150 kn for visits from Apr.-June and Sept.-Oct.; a full day adult ticket in July and August costs 250 kn. In July and August the ticket will cost you 150 kn if you visit after 4 pm. However, all entrances close at 6 pm, and parking closes at 7 pm. This gives you just about 2 hours for a visit to the Lakes, which isn't enough. For detailed operating hours and prices visit park's website. If you would like to read more about Plitvice Lakes national park, head over to our Plitvice Lakes Travel Guide. Anything else you would like to know about accommodation in Plitvice Lakes? Let us know in the comments below.